"Around the world, income has surprisingly little influence on whether people smile, laugh or experience enjoyment on a typical day." I bet you’ve read a book or two on how to earn, save and invest money but have you ever read one that teaches you how to spend it? You likely think you don’t need any help with that! Did you know that scientific research exists to show you how to get a bigger happiness bang for your hard-earned bucks? And that research proves that what we have intuitively been doing doesn’t work! Elizabeth Dunn and Michael Norton show us that money really can buy happiness. But maybe not in the way we think. They tell us that greater wealth often fails to provide as much happiness as many people expect. 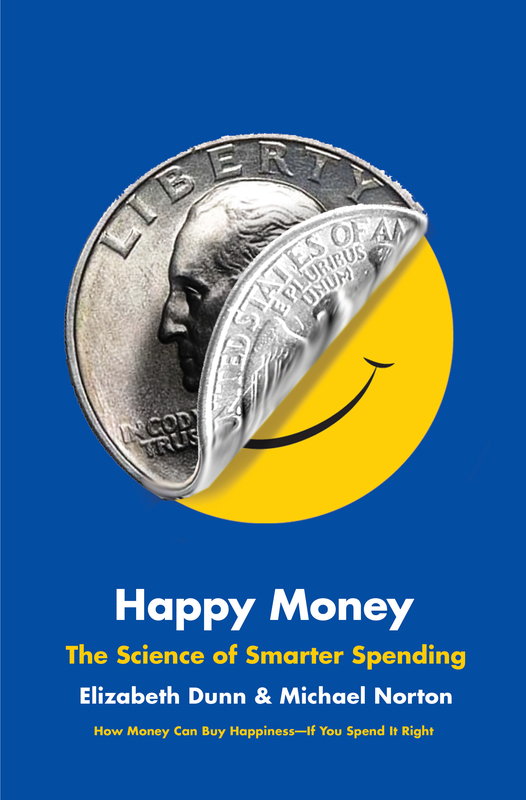 In Happy Money: The Science of Smarter Spending we learn how to stop the never-ending quest reaching higher and higher to make more and more money in search of happiness. It teaches us to shift our focus from earning more to spending differently. "Before you spend that $5 as you usually would, stop and ask yourself: Is this happy money?" They present 5 principles to spend differently; to spend smarter. When applied, these principles can lead to happier people spending less money! 1. Buy experiences – Material things (from big houses to fancy cars) turn out to provide less happiness than experiential purchases (like trips, concerts and special meals). I’m so glad I just booked that trip! 2. Make it a treat – Limiting our access to things we really like may help invigorate our appreciation and enjoyment from them. Did I ever love my Chai Tea latte after I didn’t buy it for a few days. 3. Buy time – By permitting ourselves to outsource dreaded tasks, money can change how we spend time allowing us to pursue more enjoyable things. Instead of cleaning on Saturdays, I pay someone to do it so I can go bike riding with my kids. 5. Invest in others – New research shows that spending money on others produces more happiness than spending money on oneself. I’m still trying to convince my 5-year old of this! But my 10-year old and 17-year old felt great joy this Saturday running a book swap to raise money for Room to Read. "Research shows that experiences provide more happiness than material goods in part because experiences are more likely to make us feel connected to others." My daughter is going to university next year and after completing the task of choosing which university she would attend, she is now going through the stress of selecting the best residence option. I was happy to share with her the study that Dunn and Norton conducted about happiness and residences. At Harvard, first-year students are randomly assigned to one of twelve different residences. Some of them are beautiful, spacious and centrally located. While others are, well, not! The night before housing assignments are announced, students can be found conducting elaborate rituals to ensure themselves a spot in one of the “coveted” residences. It was no surprise that their research found that students expected to be much happier living in the beautiful, spacious, centrally located residences. What was a surprise however was that students who actually did live in those desirable locations ended up no more happy than those who landed in the less desirable locations. It was the experience of the residence life itself, not the location or building that made them happy. Let’s take this to adult life. Ninety percent of Americans link home ownership to living the American dream. Ironically, however, in a carefully controlled study of over 600 women, homeowners weren’t any happier than renters, though they were twelve pounds heavier. Huh? If the largest material purchase most of us will ever make gives us no increase in happiness, maybe we should rethink this dream. What did increase happiness was trading in that mortgage for experiences. 57% of Americans reported at experiential purchases made them happier than material purchases, while 34% reported the opposite. People who spend more of their money on leisure report greater satisfaction with their lives. 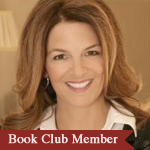 "Abundance, it turns out, is the enemy of appreciation." One thing that brings me happiness is great chocolate. There are 10 stores within 5 minutes of my house that sell great chocolate. But if I bought it every day, would I enjoy it as much each time I ate it? Unfortunately it is simply a fact that the more we are exposed to something, the more its impact diminishes. The solution? Make it a treat. By saving the really good stuff for celebrations, it becomes a treat and something I savor. Think about how much Charlie (as in Charlie and the Chocolate Factory) enjoyed his treasured annual bar of chocolate, spending days just looking at it before he would finally “peel back a tiny bit of the paper wrapping at one corner to expose a tiny bit of chocolate”. Compare that to the glutinous Augustus Gloop chowing down his multitude of bars without barely tasting, let alone enjoying them. How can you turn things you enjoy into a treat? We make Nanaimo bars only at Christmas and everyone looks forward to and thoroughly enjoys this treat. If we were to have birthday cake every week I doubt we would enjoy it as much on our birthdays. You may be sensing that I have a wicked sweet tooth! It makes so much sense now – that instead of trying just to make more money, we should stop and look at how we are spending the money we have. Perhaps we can increase our happiness without making more money! It seems like a far-fetched idea (and we have been brainwashed against it in our consumer driven economy!) but this book convinced me that it is worth trying. What about you? Do you think it’s worth trying? This summary looked at just 2 principles but there are 3 more that are equally impactful. I encourage you to investigate them and maybe you can shift your focus from earning more to spending differently. To greater happiness (and smarter spending)!